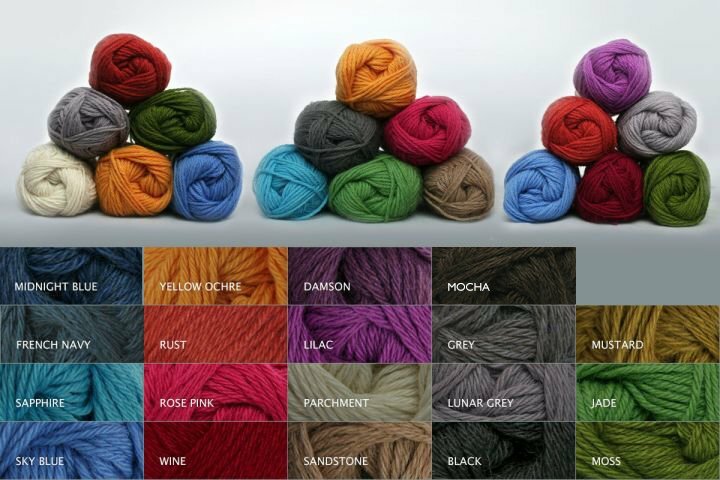 The Superfine range of yarns has a gorgeous soft handle with good loft that knits up beautifully. The yarns are 75% British superfine alpaca blended with 25% wool and manufactured in the UK. The alpaca in our yarns is sourced from our own herd and from alpaca farms based in the UK & Ireland. Also available on cone, typically between 1kg and 3kg, in natural Parchment and Sandstone. Please email or telephone for current availability and price. One of the most beautiful yarns I’ve ever used… a joy to knit and so SO soft to wear… can’t recommend enough! Thank you Sarah, glad you approve and it is all form British alpacas and made here as well! I purchased these off of another vendor’s website. They are AMAZING. So soft and warm, and so smooth to crochet. This will be the main yarn I use from now on! Thanks Samantha. Your next box of goodies is on its way!